Granted, Industrial Hemp and Medical Marihuana are two very distinct plant growths, and for that matter, two very separate subjects. But try telling that to the Drug Police who for whatever reasons insist on bunching the two ‘Industrial Hemp’ and ‘Medical Marihuana’ plant growths together. Regardless of how the poor and totally harmless Industrial Hemp is, they still seem to find it necessary to (as they put it) “MAKE THE ARREST.” Thus we must view the Reefer Madness campaign as not just being against Reefers but also against Industrial Hemp growth as well. And while this museum deals almost exclusively with Antique Cannabis medicines as well as the origins of the anti-Marihuana laws; ---Still our narcotics police have created a situation which makes it all but impossible to ignore. The following is a collection of odds and ends that just happen to fall into the INDUSTRIAL HEMP category and as such might be of interest to the reader. They are well researched and provide excellent documentation. During the Second World War, not only did our Federal Government halt its Reefer Madness campaign in mid-stride, it actually began to actively encourage our nations farmers to once again physically grow the plant. Here (to our knowledge) for the first time is the complete story of what actually happened and why . . . [more] . 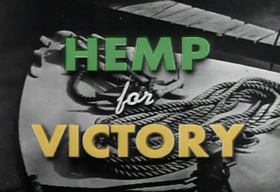 . .
HEMP FOR VICTORY (produced during the war) on hemp growth was considered by many to be an extremely educational film, so much so that it soon became an embarrassment thereafter. How could we have our drug war with such a film (produced by our own Dept. of Agriculture no less) out there? In fact it must have proven such an embarrassment, so much so that our very own government CENSORED the film and attempted to erase all references to its saying. . . [more] . 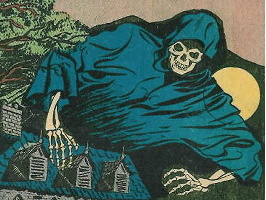 . .
NO, no one is saying that Hemp (of and by itself) STOPPED the spread of the ’BLACK DEATH’. NO, no one is saying that ALL medical bandages at one time were made from Hemp cloth (in all probability they weren’t). NO, no one is saying . . . [more] . . . Although greatly over-shadowed by the plants Flowering Tops, Medical Hemp-seeds/Hemp seed oil, also played an important role, not just for its medical properties but for their nutritional value as well. . . [more] . . .
Because of the Marihuana laws, Oklahoma's State Budget, each and every year loses out on approximately $100-to-$300 Million dollars in lost tax revenues. This report documents the full extent of those losses . . . [more] . . .